Welcome to Bradsworth Tree Services & Contracting Albury Wodonga. Providing professional tree services and advice at a competitive price. Bradsworth Tree Services & Contracting Albury Wodonga is a locally owned company with over 10 years experience. 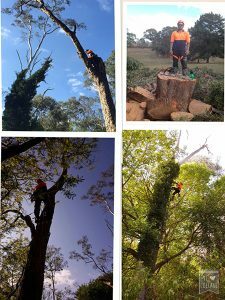 We provide professional services for all things trees including tree and tree stump removal Albury Wodonga, Australian standard pruning, mulching, tree climbing, hedging, reports and quotes, deadwooding, crown reductions, mistletoe removal,tree inspections, Elm Leaf beetle control, Tree Bracing and soft cabling Systems. We service Albury, Wodonga and surrounding regions. Bradsworth Tree Services & Contracting include qualified arborist and tree climbers available for professional tree services that are cost effective. We provide Australian standard tree pruning to prolong the life expectancy and health of your tree. Using professional equipment and techniques by experienced and qualified arborists we specialise in removing dangerous trees in confined spaces. Also pruning trees while adhering to Australian standards to maintain tree health and safety.